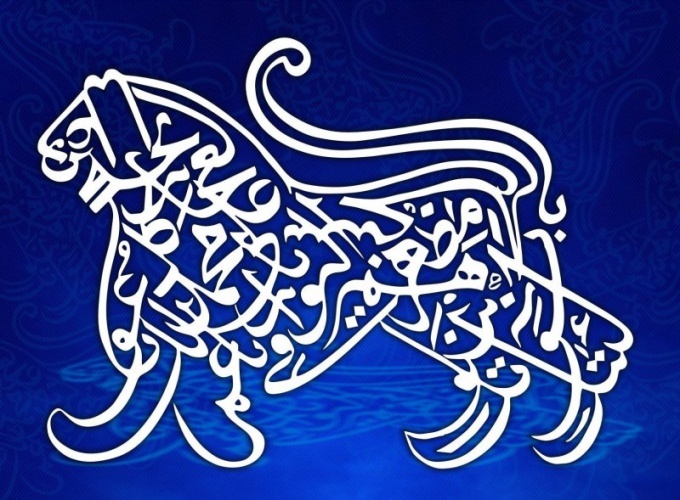 The Arabic script is one of the most complex writing systems. The difficulty of mastering it further raises a number of challenges associated directly with the study of language. The best way to understand Arabic alphabet and learning to read Arabic is the mastery of Arabic script. In teaching the Arabic writing the first thing that may surprise you and that you have to consider is its specificity. In countries where you use this script, written from right to left, not left to right like we used to. However, this interesting feature is not so hard to get used to, as it may seem. If undertook to learn the Arabic script, from the outset train yourself to write very carefully, even if you have a "doctor's" handwriting and no one can understand your writings. The fact that many Arabic letters are very similar to each other and differ only in the slightest, in our Amateur opinion, inclination, or point under the letter. Be very careful with all the dots and squiggles. Naturally, any learning to write starts with learning letters. Take this case with all seriousness: keep a separate notebook and start as in the first class, write each letter on the line. So you work out the letters and get used to a different direction of writing. Have Arabic writing another feature which is worth to pay close attention to, and knowledge of which at the initial stage of learning the Arabic language will help you perfectly "method tracing". Many of the letters in the Arabic writing system is written differently in the beginning, middle and end of a word. Learn all these options and refer to reading (or rather, at the initial stage, it will be rather a simple recognition of letters in the text): training of attention and memory will help you in teaching writing. And finally, practice as much as possible, write the Arabic script with labels, wrappers, manuals on using the computer with junk that will fall under his hands. Regularly check the knowledge of the alphabet and the sounds that correspond to letters. And remember: without mastering Arabic script cannot go to the next step - the study of language. The name translation in Arabic can be done in two ways. First, translate the meaning. You can use the Arabic word meaning the same as your name. Secondly, you can write a Russian name in Arabic letters, in order to achieve phonetic similarities. Check the value of your name. Take the Russian-Arabic dictionary and find the translation of the word in Arabic. Rewrite not only the font style of the word, but the transcription. Please note that Arabic language has no capital letters. So be prepared that not everyone will immediately understand that before them the name of their own. Use electronic means if you do not have a dictionary. There are sites and programs for automated translation into Arabic. For example, you can find them at the following addresses: radugaslov.ru or mrtranslate.ru. Prepare the transcription of their own name. If it has the letters "p" and "b", which is not in the Arabic alphabet, replace them with "BA" and "FA". However, this can lead to various misunderstandings the reverse translation. But there is no other way. Look at the table of the Arabic alphabet, which reflects all kinds of faces. In this culture letters have different spellings depending on position in the word. Distinguish isolated, initial, middle and end. However, six letters: "Alif", "dal", "s", "RA", "Zayn", "wow" – I have the middle of writing, because not combine with subsequent characters. Translate the transcription. Note that Arabic writing goes from right to left. Keep in mind that all the letters of the Arabic alphabet – consonants and vowels on the letter represent auxiliary icons above and below the letters - the vowels. Vowels in the Arabic alphabet there. 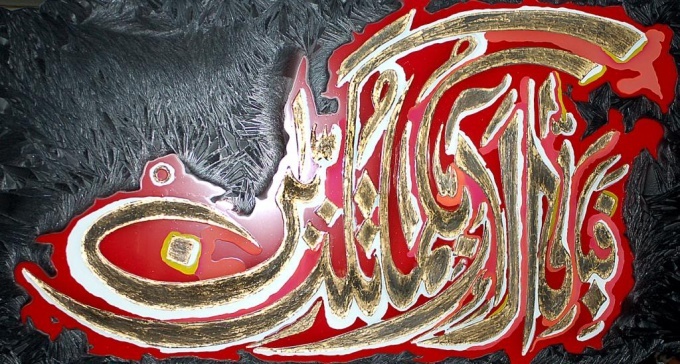 If after a consonant it is pronounced "a", above the letter drawn with a slash "Fatah". For sound "and" dash "Qasr" is placed under the letter, and "u" is used Superscript icon "Damme", like a little comma. If there is no consonant after the vowel, it is "sukun" is a small circle. But there is another way. Replace the vowels in Arabic characters. The alphabet is the letter "Alif," which does not mean no sound. Depending on context, it can be used to denote long vowel "a", either as a secondary spelling of the sign does not have its own sound value. Vowels "o" and "y" are passed by mark wow", and "e" and "I" – the letter "ya" . To write the name on the computer, you will need an Arabic keyboard layout. To do this, follow one of the following addresses: http://al-hayat.ru/soft/arabkeyboard.zip or http://www.neoland.ru/klaviatura-arabskaya.htm. This will help you to write e-letters.